Dr. Andrea Davis is the founder of Greenhouse Therapy Center. She established the practice in 1991 in Pasadena, California. 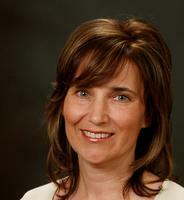 Dr. Davis is a licensed clinical psychologist specializing in psychotherapy and parent support. As a graduate of Brown University Program in Medicine's Post-doctoral Fellowship in Early Childhood Psychology research and practice and a former Director of Research at UCLA's Department of Pediatrics FOCUS Project, she brings experience and expertise in child development theory and research. Dr. Davis designed the intensive in-home model of DIR/Floortime intervention for children with autism and other developmental disabilities and their parents which is currently being offered at Greenhouse Therapy Center. Holding degrees in theology and clinical psychology from Fuller Graduate School of Psychology, she offers support and insight for clients who wish to integrate their faith with their personal growth. She is the clinical supervisor of the staff of doctoral students, master's level interns, and post-doctoral fellows, ensuring all our clients are getting outstanding care. Harwell, M. & Davis, A. L. DIR in the Classroom. Full-day Preschool Educational Staff Training, Palmdale Unified School District, Palmdale, CA, February 2010. Harwell, M. & Davis, A. L. Individual Biological Differences and Early Intervention. Early Intervention Staff Training, Buonora Child Development Center, Reseda, CA, September 2009. Davis, A. L., Research in Developmental Intervention, Presented to DIR Institute, July 2009. Davis, A. L. Autism Spectrum: New Developments. Lecture at Fuller Graduate School of Psychology, April 2009. Davis, A. L., Davis, C. L., & Friedlander, K. Educational Inclusion of Special Needs Children. Full-day Teacher In-Service Training, Pasadena Unified School District, July 2006. Davis, A. L. Welcoming Special Needs Children in our Schools: Challenges and Possibilities. Half-day Principal In-Service Training, Pasadena Unified School District, August 2006. Davis, A. L., Reedy, S., & Kearney, C. DIR/Floortime Intervention. Half-day Regional Center Service Coordinator Training, Lanterman Regional Center, April 2006. Davis, A. L. Autism Spectrum Disorders: New Developments. Lecture at Fuller Graduate School of Psychology, December 2004. Davis, A. L., Northrup, C., Lewis, H., Staehle, S. Play Facilitation at School for Social-Emotional Growth. Full-day Special Education In-Service Training, Glendale Unified School District, March 2005. Davis, A. L., Northrup, C., & Zequeira-Russell, B. Floortime Therapy: Social Facilitation, Half-day Special Education In-Service Training, Burbank Unified School District, January 2004. Davis, C. L. & Davis, A. L. My Way/Your Way: Building Your Parenting Partnership. Parent Training Lecture, All Saints Children's Center, Pasadena, CA Fall 2001. Davis, A. L. & Davis, C. L. Attachment Style Parenting at Home and at School. Parent Training Lecture, All Saints Children's Center, Pasadena, CA, Spring 2001. Davis, A. L. & Davis, C. L. Positive Preschool Parenting. Parent Training Lecture, All Saints Children's Center, Pasadena, CA , Spring 2001. Davis, A. L. & Davis, C. L. Fostering Secure Attachment to Daycare Providers, Full-day Teacher In-Service Training, All Saints Children's Center, Pasadena, CA, Spring, 2000. Davis, A. L., Play Therapy, 10-week course taught at Fuller Graduate School of Psychology, Summer, 2000. Davis, A. L. & Davis, C. L. Child Psychotherapy, 10-week course taught at Azusa Pacifica University Graduate School of Psychology, Summer 1998. Davis, A. L. & Davis, C. L. Infant Mental Health, 10-week course taught at Azusa Pacific University Graduate School of Psychology, Spring 1999. Davis, A. L. Parent-Child Interaction & Young Children with Prenatal Exposure to Drugs: Current Research on Attachment Difficulties, Lecture to Open Arms Family Support Network, Pasadena, CA, October 1993. Brenneman, T., Davis, A. L., Vogt, R. Overcoming Fear of Failure: Finding the Fruitful Life. 3-week Adult Education Class, Pasadena Mennonite Church, Pasadena, CA, Fall 1991. Lamphear, V. & Davis, A. Parenting Across the Spectrum from Infancy through Adolescence. Full-day Nurse In-service Training for Pediatric Nurse Practitioners, Kaiser Permanente, Spring, 1988. Davis, A. Raising Healthy Kids. 8-week Parent Training Course. Pasadena Covenant Church, Pasadena, CA, Fall 1987. Dewaay, R., Davis, A., & Clements, M. (2010). Parents' Perceptions of Treatment Effectiveness for Autism Symptoms in a DIR/Floortime Home Intervention. Presented to Autism 2010, Toronto, November, 2010. Davis, A. L., Swanson, K., & Anwar, F. (1994). A Psychoanalytic Perspective on Psychological Dependence on a Baby. Presented at the symposium, Mother-Infant Role Reversal: Attachment Theory, Family Systems, and Psychoanalytic Interpretations, A. Davis, Chair; at the 102nd Annual Convention of the American Psychological Association, August, 1994, Los Angeles, California. Davis, A. L. & Anwar, F. (1994). Development and Validation of a Measure of Role Reversal. Presented at the 9th International Conference on Infant Studies, April 1994, Paris, France. Davis, A. L. & Lester, B. (1992). Maternal Self-Confidence and Overconfidence: Self-Perception of Interactive Competence. Presented at the symposium, Maternal Self-Efficacy and Developmental Outcomes, A. Davis, Chair; at the 8th International Conference on Infant Studies, May, 1992, Miami Beach, Florida. Davis, A. L. (1990). Clarifying and Refining Video Replay Methodology: Improving Self-Efficacy via Self-Modeling. Presented at the 7th International Conference on Infant Studies, April, 1990, Montreal, Canada. Davis, A. L. (1989). The Effects of Video Self-Modeling on Maternal Self-Confidence and Mother-Infant Interaction. Dissertation Abstracts International. Davis, A. L. (1989). Video Self-Modeling: A Successful Treatment of Reactive Attachment Disorder of Infancy. Presented at Infant Conference, ’89: New Directions for Infant Services in the Nineties, May 1989, Los Angeles, California. Davis, A. L. (1987). Organizational Culture and Congregational Style: Implications for Consultation with Churches. In H. N. Maloney (Ed. ), How Psychologists Can Help the Church. Pasadena: Integration Press. Griffin, E., Gorsuch, R., & Davis, A. L. (1987). A Cross-Cultural Examination of Religious Orientation, Social Norms, and Prejudice. Journal for the Scientific Study of Religion, 26, 368-375. Davis, A. L. (1986). Organizational Culture and Congregational Style. Presented at the symposium, Wholeness in the Church: Contributions of Organizational Psychology, at the Annual Convention of the Christian Association for Psychological Studies International, June, 1986, Oakland, California.